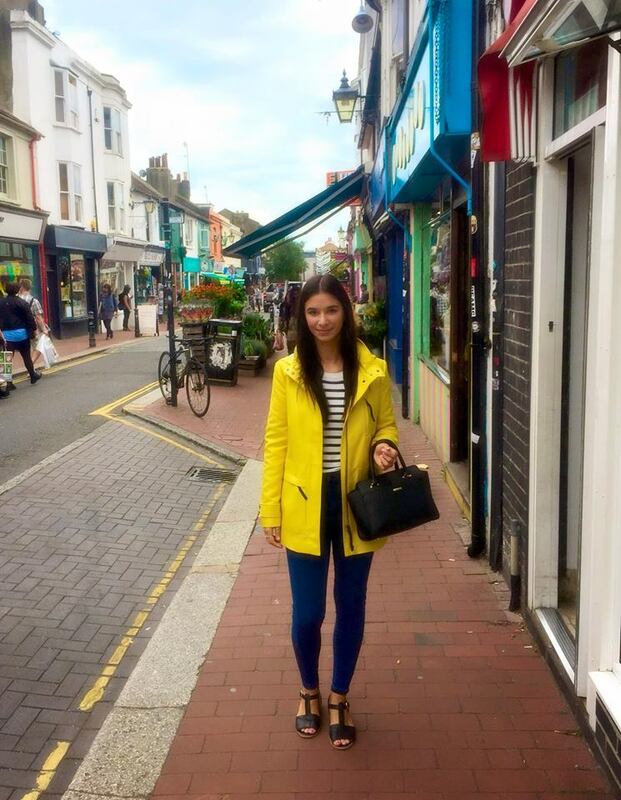 TOP 5 THINGS TO DO IN BRIGHTON | in style of Emily. Walking along the beach - Brighton beach is a lovely, long stretch to wander along. Of course it has a more vibrant atmosphere during the summer months with street artists, food stalls and outdoor cafés and restaurants along the promenade, but I feel like even in colder weather there is something really satisfying about wrapping up in lots of warm layers and taking in the fresh sea air. I also love the cute stripy deck chairs that you can hire out on the beach if you're planning on staying down there for the day. 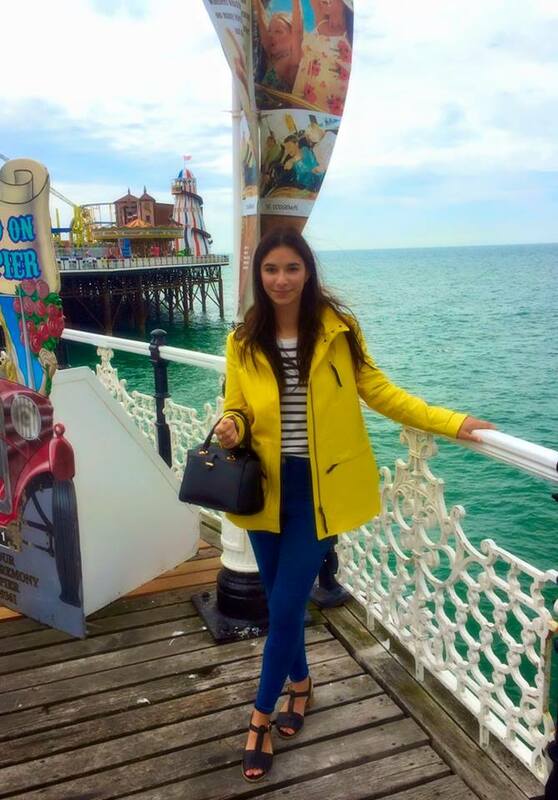 Strolling down the pier - Once I've had a wander along Brighton beach and worked up an appetite, I love to walk down the Brighton pier and grab some traditional seaside fish and chips - they're some of the best! 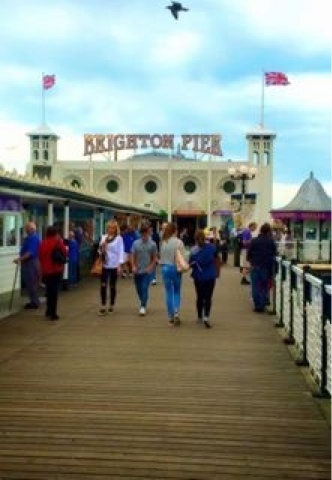 Then walking right down to the end of the pier (the wind will ruin your good hair day FYI) and taking in the atmosphere from the fairground and stalls, selling fudge, sweets and lots of candy floss. 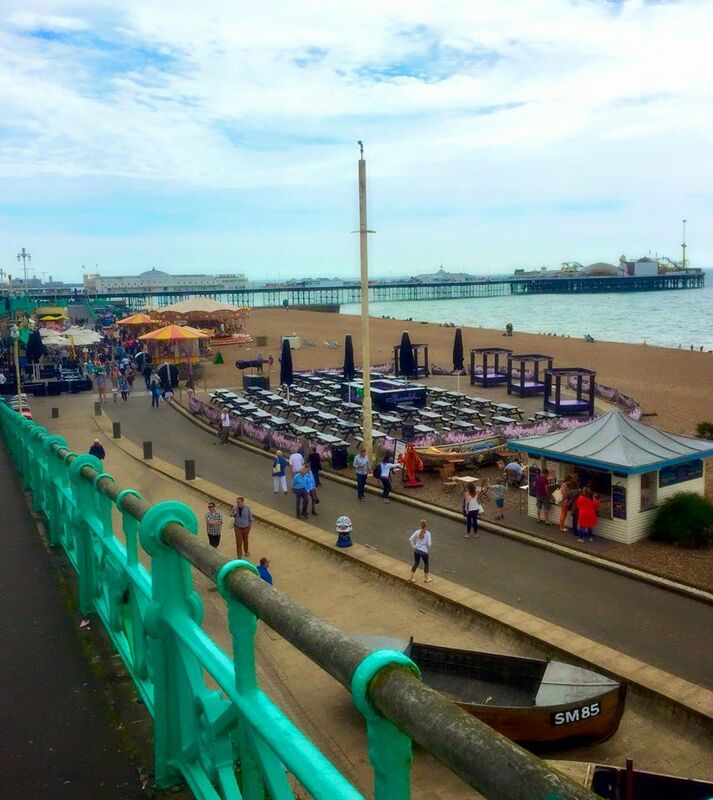 There are benches along the pier too so that you can sit down whilst you eat and people watch - everyone's favourite hobby! 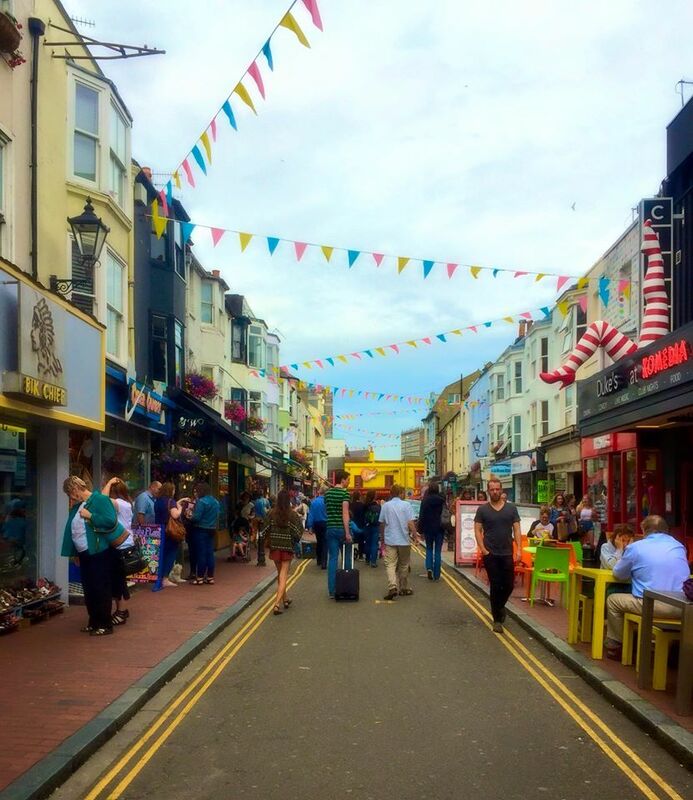 Exploring the lanes - Brighton is very well known for its quirky and unique shops which can mostly be found down the lanes. 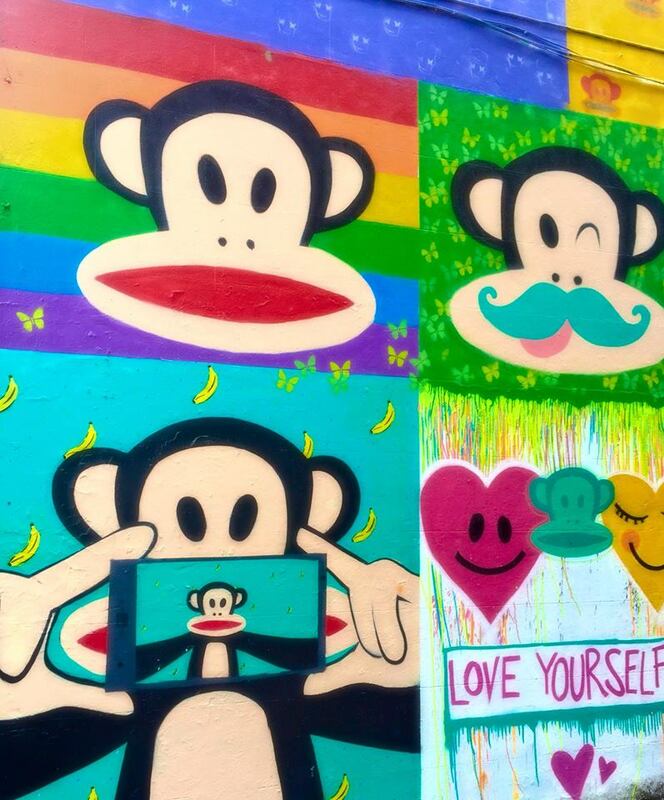 These are narrow streets filled with colour and art and are easy to get lost down - but that's half the fun! 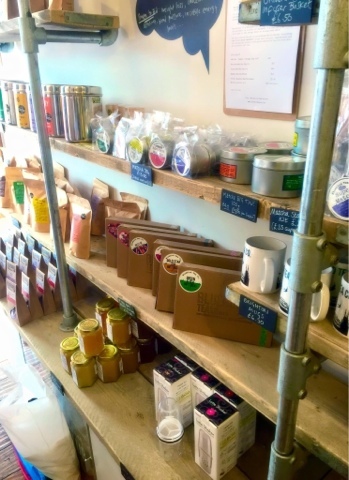 I usually have a pit stop at one of the independent cafés for some tea and cake, and there are so many cafés to choose from that I try a different one each time (the Little Bird and Taj's Tea Parlour are two of my favourites). 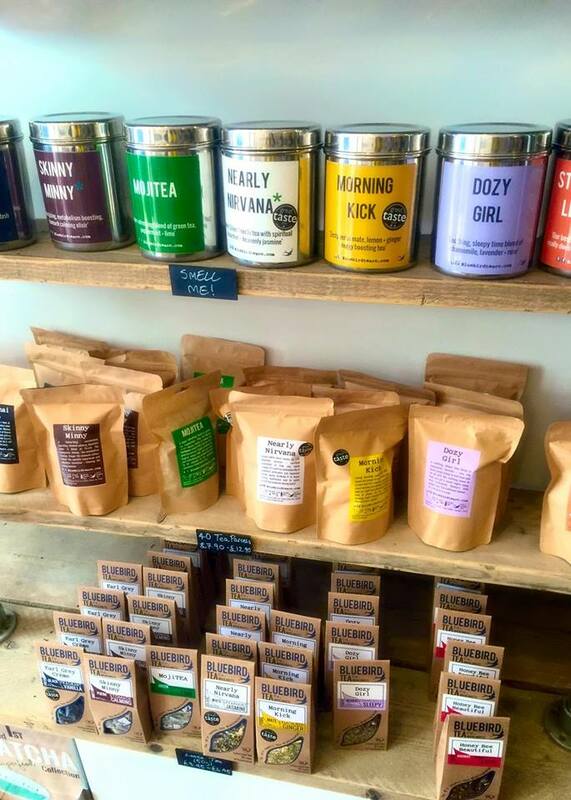 If you're anything like me and have to stop every hour for a cup of tea, then you'll be spoilt for choice. 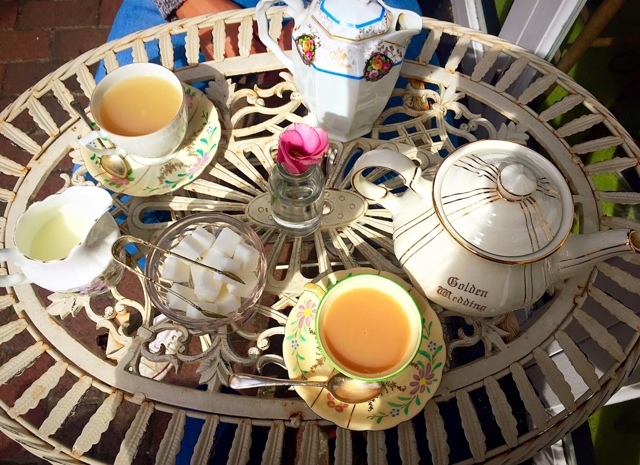 Bluebird Tea - As well as stopping for tea and cake down the lanes, I always have to grab an iced tea blend from 'Bluebird Tea Co.' (found down Gardner Street). They specialise in tea mixology and create the most amazing tea blends. There are different options on the menu for hot and cold blends, but I personally love the iced teas. 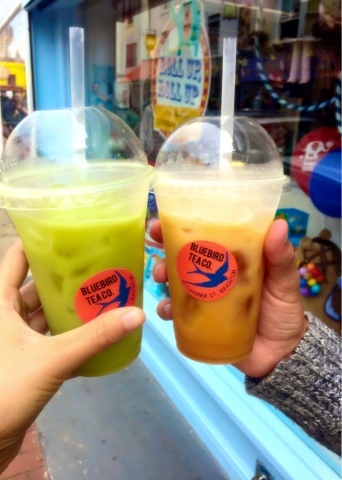 I got the Iced Matcha Vanilla tea last time and Charlie got the Iced Chai blend...so so good and definitely a must! They also sell a wide range of loose tea and different mixes to try at home. Royal Pavilion - Not only is the building itself architecturally gorgeous but the Royal Pavilion is a great place to visit if you want to indulge in the culture and history of Brighton. 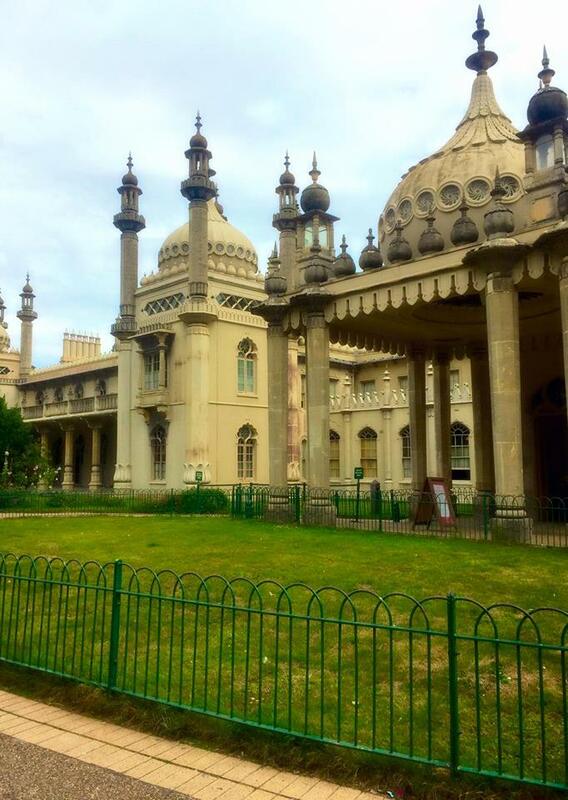 It has gorgeous 18th century interiors, beautiful gardens surrounding it and is also linked to the Brighton museum. Personally I love home interiors, so I find it really satisfying and interesting to have a nosy around! 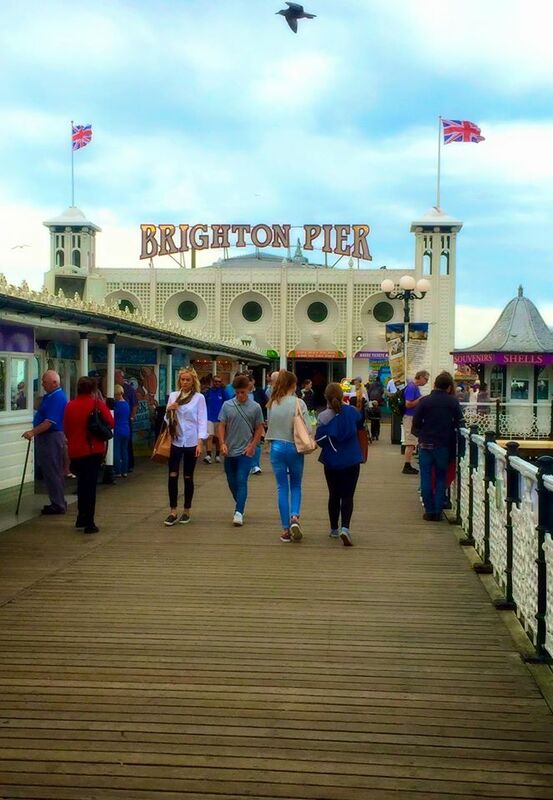 If you're thinking of visiting Brighton soon 1) I highly recommend it for a summer trip and 2) I hope this has helped you think of some ideas for things to see and do! 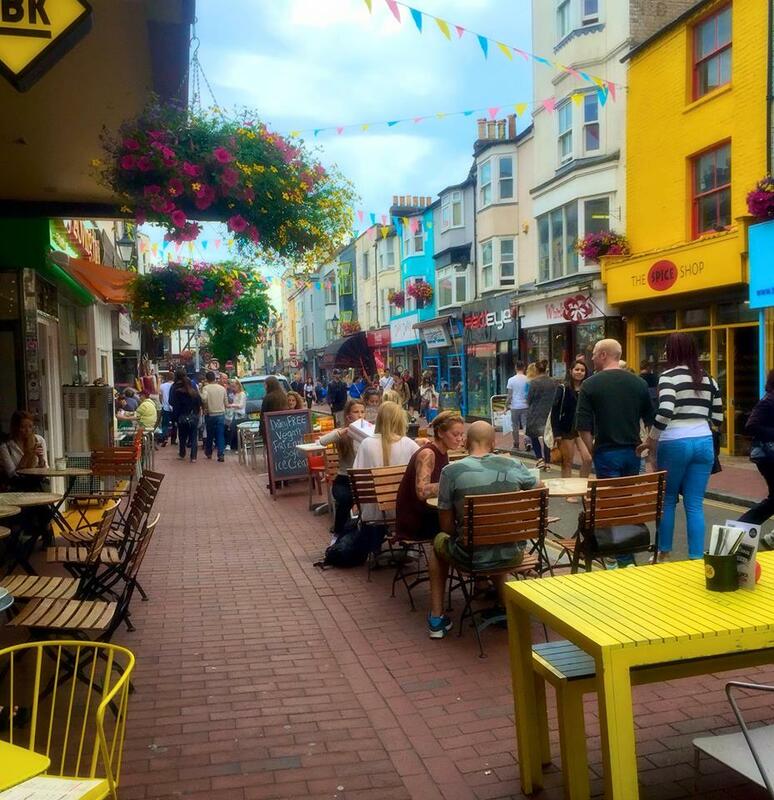 Oh and did I mention, Brighton shopping is amazing! 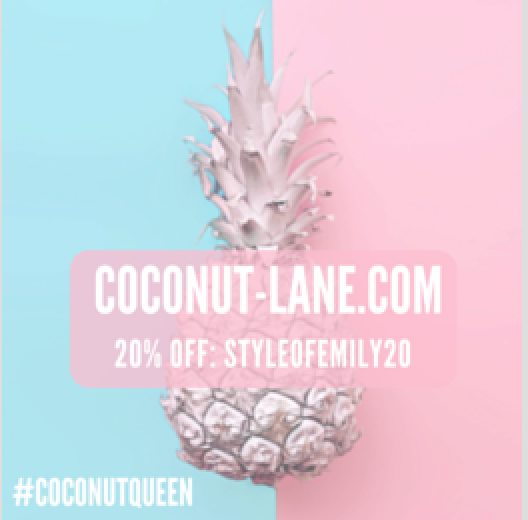 Not only are there many independent shops, but there is also a great high street shopping centre too....a winner all round I say!